Muse Vineyards continues to win important medals in the most demanding wine competitions. Most recently we won a gold medal for our 2013 Petit Verdot at the 2018 San Francisco Chronicle Wine Competition. A silver medal was awarded to the 2013 Clio. The Chronicle competition had more than 7,000 entries from across the United States and it is described in the trade as “the largest and most inﬂuential wine competition in America.” Wines are all blind-tasted by highly experienced and acclaimed wine experts. It is gratifying to see our Virginia wines excel in a competition where 95% of the entries were from California. Two things are at work in a multi-thousand entry wine event like the Chronicle’s. First there is the recognized phenomenon of taster palate fatigue. This tends to beneﬁt big, super-ripe wines at the expense of more subtle, food-enhancing, old world styles, such as the best Virginia wines. The second eﬀect of large competitions is what the wine writer Matt Kramer has described as the “Jayne Mansﬁeld cocktail party eﬀect.” (For those of you born in the second half of the 20th Century, Jayne Mansﬁeld was a pneumatic blonde often described as the poor man’s Marilyn Monroe.) Kramer’s point is that in a crowded room, the most obvious physical characteristics are likely to receive attention at the expense of subtle and perhaps more elegant self-presentations. Again, it is an especial pleasure for our Virginia wines to command the favorable attention of judges in the circumstances of the Chronicle competition. In Other News Scott Hendley’s National Wine Review, featuring independent wine and winery reviews, gave a 92 rating to our 2012 Clio, an estate-grown composition of equal parts Cabernet Sauvignon, Merlot, Cabernet Franc, Petit Verdot and Malbec. The National Wine Review also gave a 90-point rating and a high recommendation to our 2015 Thalia. A blend of Marsanne (50%), Roussanne (40%), and Viognier (10%) it, as described by Scott, is aromatically complex and fresh on the palate, with velvety viscosity and quenching acidity. Aromas of apricot nectar, roasted hazelnut, and ﬂorals transition to ﬂavors of baked pear, brioche, and fresh tarragon – all layered with impressions of orange peel and butterscotch over a honeyed ﬁnish. It is dry and medium-bodied with a creamy texture – thanks to full malolactic (secondary) fermentation in new and neutral French oak barrels. It is a Virginia-grown Rhone varietal blend that holds its own against like-priced counterparts from France and California. On the subject of pricing, at Muse Vineyards, we are committed to maintaining a fair price-to-value ratio for all of our wines, even though production costs in Virginia are considerably higher than most regions. In practice this means we sell our wines at prices comparable to wines of similar quality; there is no “Virginia premium.” In this regard it is interesting that our Clio and Petit Verdot equaled or exceeded the medals awarded the following similarly- priced ($30-$50) California wines in the Chronicle competition: Ferrari-Carrano, 2014 Sonoma County Tresor; Dry Creek Vineyard, 2013 Dry Creek Meritage; Francis Ford Coppolla, 2015 Alexander Valley Cabernet Sauvignon, Director’s Cut; J. Lohr Cuvee Series 2014 (Red Bordeaux), Paso Robles Cuvee POM. We’ll oﬀer additional thoughts on wine pricing in a future newsletter. Join hundreds of Muse Vine Club members already privy to exclusive beneﬁts, including direct, quarterly shipments of Muse wines to your doorstep; as well as members-only discounts and special events invitations. Consider giving a Muse Vine Club membership to friends, relatives and colleagues to celebrate their big moments. Its the gift that keeps on giving (as In, every quarter). 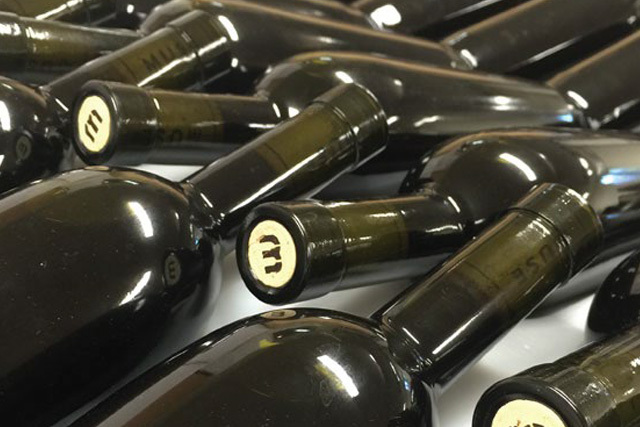 Muse now ships our award- winning wines to more than 33 states. Clio '13 Wins Double Gold! 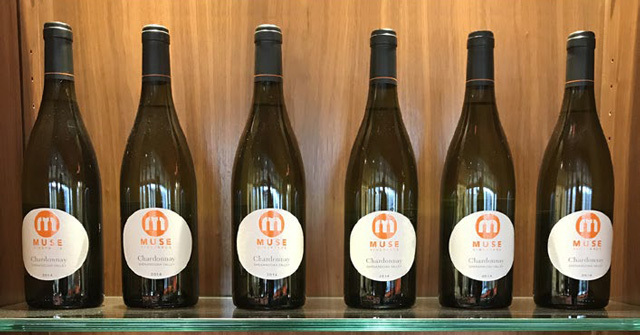 SIGN UP TO RECEIVE OUR MONTHLY E-NEWSLETTER, MUSE NEWS, WITH INSIDER INFORMATION ABOUT NEW WINE RELEASES, STAFF HIGHLIGHTS, LIVE MUSIC, ART SHOWS AND OTHER WEEKEND EVENTS WE HOST AND MORE. Subscribe to our monthly e-newsletter- Click Here! © Copyright 2019 Muse Vineyards. All rights reserved.